I often find, the first few things I do in the morning sets the tone for the rest of the day. Yet, as I get older I tend to feel a bit achy when I wake up. 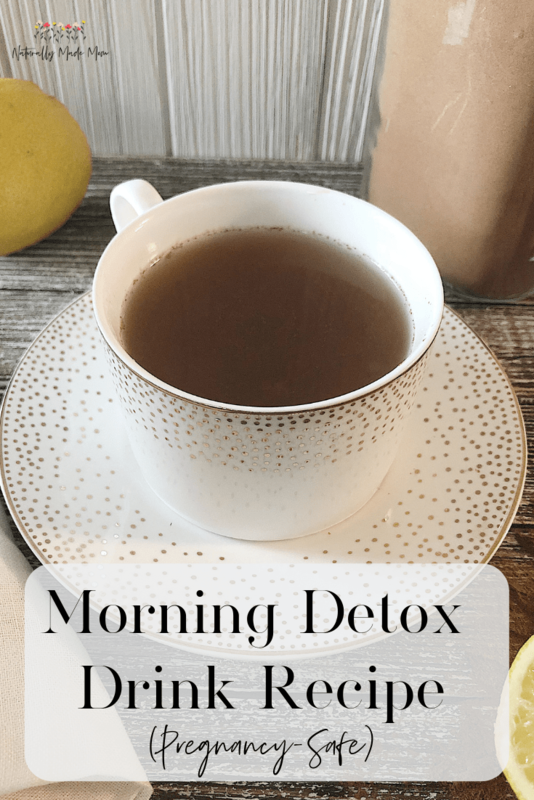 If you find yourself relying heavily on caffeine to function, or want to promote weightless, and just want to be generally healthy, it may be time to add a morning detox drink to your everyday ritual. Your stomach is completely empty after a night’s rest, making the morning an ideal time to consume detox drinks. 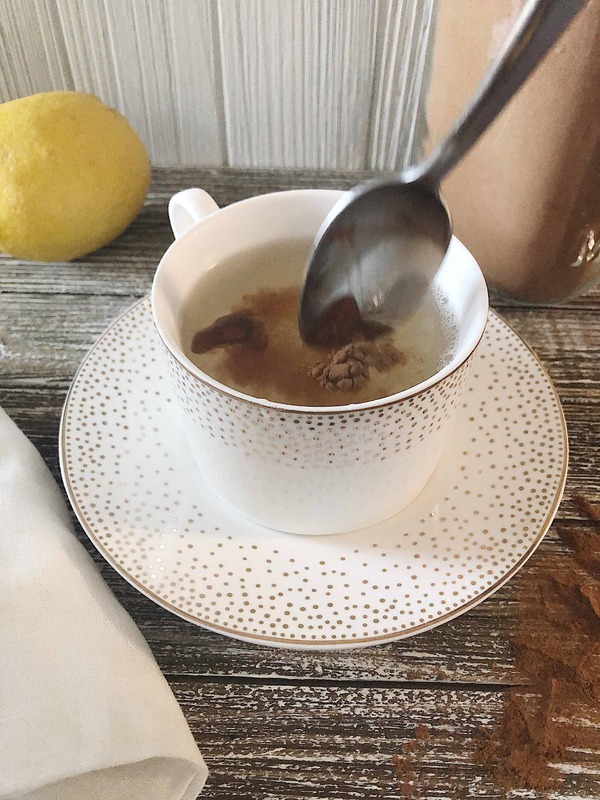 In this post I will share my favorite morning detox drink recipe. Not only is this recipe delicious, but I have complete confidence you will start to experience numerous health benefits very quickly. We may earn commissions on products purchased through our links. Please see the full disclosure for more information. There are numerous medicinal foods that can detox your body in the morning. One way food promotes detoxification is by increasing blood flow to vital organs. Some food adds powerful antioxidants into your system and can stop harmful bacteria and fungus from overtaking your intestines. 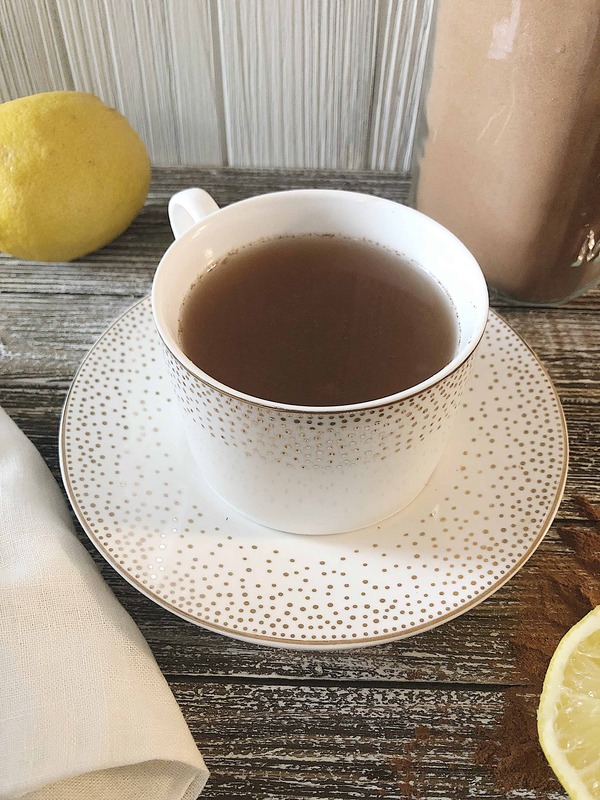 This recipe calls for fresh organic lemon juice, apple cider vinegar, ceylon cinnamon, and raw Manuka honey. I will briefly talk about how each of these aid in detoxification before I share the recipe. First of all, the lemon you use for your morning detox drink should be organic. Conventionally grown lemons are sprayed with toxic pesticides, fungicides, and preservatives to maintain freshness (source). Wait a minute, I thought we were trying to detox here? Now that I have that disclaimer out of the way, lemons are actually a magical fruit for the human body. Both sets of my parents drink apple cider vinegar everyday. They tell me all the time how much it helps them with arthritis and muscle aches. I have found that it can be difficult to drink due to taste. However, in this recipe you can’t even tell it’s there. However not all cinnamon is created equal. Manuka honey comes from New Zealand and contain bioactive compounds that are wonderful for the human body. Place a pot of water on boil and gather the ingredients. While water is boiling, wash and cut your organic lemon in half. Put a spoonful of Manuka honey in a mug. Then, squeeze the juice from half a lemon into the mug. Add one tbsp of apple cider vinegar to the mug as well. Once water is boiled, fill the mug. Then sprinkle in a pinch of ceylon cinnamon and mix the contents with a spoon. That’s it! Drink one cup every morning on an empty stomach and you will start feeling so great! Place a pot of water on boil. 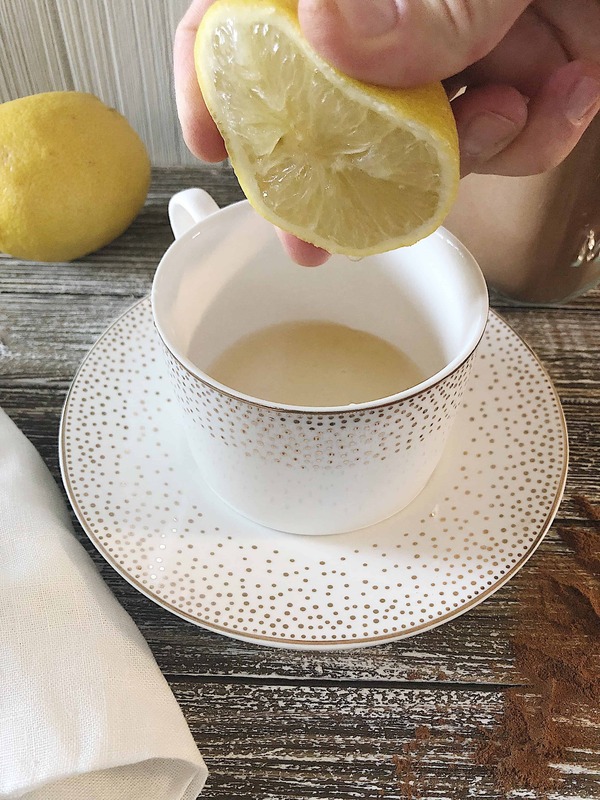 Wash the lemon, cut it in half, and squeeze the juice of 1/2 into a coffee mug. 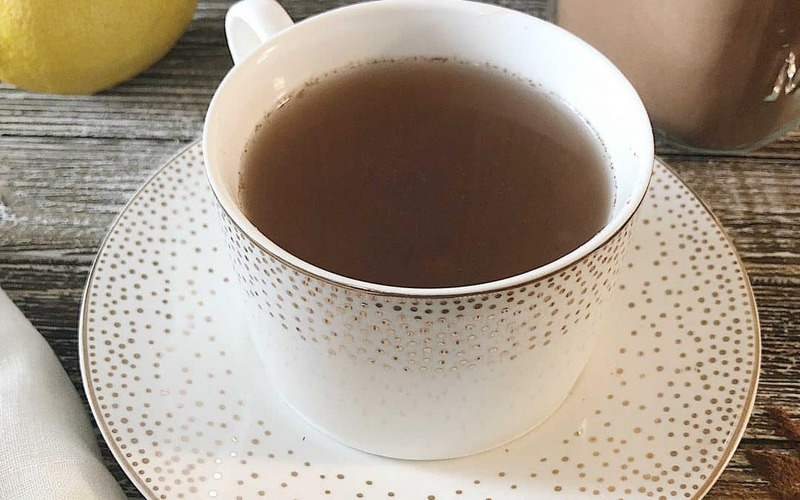 Add Manuka honey and apple cider vinegar to mug. Pour the boiled water into the mug and sprinkle a pinch of ceylon cinnamon on top. Mix the contents with a spoon and enjoy! Subscribe to get out latest news, recipes, and healthy living tips in your inbox!